and the other thing is, the erection of the neck frill. The cervical vertebrae on Dilophosaurus are very long, and they are one under the other, making a very strong support down the side of the neck". "And there is also a short anterior projection of these vertebrae (or ribs) which would make it impossible for the animal to erect a crest". "These are minor points and these are good showmanship. 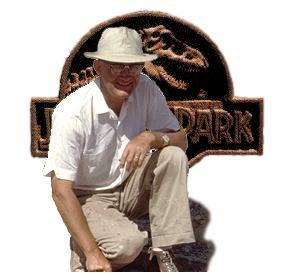 I enjoyed the movie thoroughly and was very happy to find Dilophosaurus an internationally known actor."